Kate Middleton’s baby has yet to make it grand entrance yet Prince William is already pretty firm on how he wants to raise the little heir. 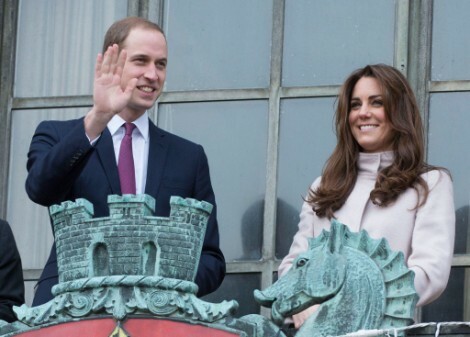 It turns out the famous couple’s “We’re just as normal as you are” spiel isn’t limiting itself to high street fashion and and 9 to 5 jobs (William’s job that is – not Kate’s nonexistent one). No Prince William is putting his money where his mouth is and taking his every man routine to the nursery where Kate will be doing most of the dirty work. First of all this is the same Jessica Hay who’s telling everyone Kate Middleton’s pregnancy will be announced this Christmas so we should take her insider information with a grain of salt. However, this isn’t so out of left field, right? Kate and William love to convince everyone that they are just like the rest of us and have very little help which isn’t necessarily true AT ALL but William has proven that he plays the PR game much better than his father does. So not relying heavily on nannies could mean they won’t have 10 but it certainly doesn’t mean they won’t have a few at their beck and call. William grew up with nannies and had pretty tight relationships with them – so tight in fact that Princess Diana was said to have hated and been crazy jealous of Tiggy Legge-Bourke who looked after the boys after their parents’ separation. Nannies are a way of life for the British upper crust so as much as Kate and William want to be hands-on they will still need help if they ever get around to starting their full-time royaling. Is William being mindful of his wife’s feelings when he says no nannies? Kate Middleton didn’t grow up with them and seems to have had a very normal childhood so do you think she’s voiced concern over wanting to have the same for her kids? I have a feeling Kate’s idea of hands-on parenting is night and day to William’s or Diana’s. Diane grew up in a somewhat dysfunctional and ultimately broken home and spent a lot of time in boarding schools. Kate had the opposite experience. It will be interesting to see how their parenting styles differ and if that difference is a little much for the Windsors.